Having made the decision to invest in SMART Interactive Technology for your staff, it is now extremely important for your employees to understand the benefits the solutions bring to them & your organisation, and for each user to feel comfortable and confident in using these invaluable new tools in the workplace. Whether it be training on SMART MeetingPro software with its simple touch-screen whiteboard versus desktop PC capabilities you have opted for in your business, or SMART Notebook content creation and delivery in your classroom, we have training courses to suit every level, any timeframe and any region in the UK. Full day or half day sessions for your staff? SMART Training Courses to “train-the-trainer”? SMART Notebook Training for Education? SMART MeetingPro Training for Business? 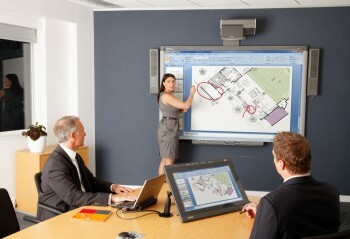 Twilight SMARTBoard training sessions for doctors & teachers? Integrating your SMART system with Video Conferencing for sharing & collaboration? By carefully selecting ex-teachers and SMART certified professional trainers in various locations across the UK, including SMART certified training centres, VideoCentric has up to 12 dedicated individuals available to deliver standard, well-rehearsed courses at novice or expert level, plus the ability to accommodate after-school twilight sessions for teachers as well as accreditation courses for those will-be trainers requiring SMART certification training themselves. Whether you have already installed SMARTBoards where usage needs to be improved, if you are deploying SMART Interactive Panels & Bridgit into your organisation, or you are aiming to earn a SMART certification for yourself, we can provide the training that is perfect for you. 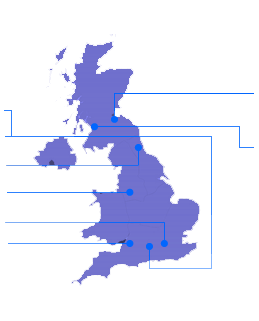 Contact us today and find out more about our range of SMART Training courses & locations across the UK.